I’ve learned so much from this bout of depression but mainly I’ve learned that I know nothing. Today I’m notsure if I even have depression. Maybe the anti-depressants are doing their job, maybe this mid-life crisis is over or maybe I just imagined I felt so bad. I just don’t know. Last week I spent three mornings in bed “meditating”, sleeping and getting in touch with my feelings. Feeling sad but also feeling angry with the whole world and especially with myself. Then on Friday I felt much better. I felt so much better I started to regret all the truths I’ve written and shared about what I’ve been going through and how hard this year of the 52 Exercises has been. Then I started to feel confident and even felt superior so I hated myself for that. Then I started to think that all my self-hatred is ridiculous and I’m actually not that bad. But I still wanted to carry on reading and writing so I can learn to be perfect. So maybe I am not totally cured. Meanwhile Luke, aged 14, forgets it’s Mother’s Day and is too engrossed with his computer game to even look up when I greet him but I know he loves me anyway. Sunrise Beach on the Sunshine Coast in Queensland where I walk most days. After breakfast in bed I go for a walk on the beach alone. Walking is one of my favourite activities but today I try to walk mindfully. I try to be mindful of the feelings in my feet when they make contact with the earth, of the feeling of pressure on my knees and of the air around my arms. I feel the wind blowing my hair in my face, smell the salt in the air and look at the patterns in the sand. I hear the roar of the waves and the chatter in my head stills. Not for long, but if I can be mindful for one breath I know I can work up to being mindful for ten breaths, for ten minutes, for an hour, for a day and maybe forever. Or a lot more than I am now at least. I haven’t attained nirvana yet but being mindful of how agitated, nervous and worrisome I am is a start. Noticing when I get distracted is the beginning of my experiments with being mindful. My children learnt to crawl and walk and run so fast. Maybe I can learn to be mindful quickly too and unlearn all the bad habits I have picked up over the last four decades. But I won’t worry about that right now. I’ll just enjoy this feeling of putting one foot in front of the other and the wind blowing my hair. I’m learning about mindfulness because it will help me live in and enjoy the moment rather than ruminating on the past or worrying about the future. So far I’ve learnt that most of the time I’m not at all mindful, going about my day on auto-pilot doing everything from household chores to exercise to reading while thinking about other things. My mind is often so agitated it skips from one thing to another and I let myself follow it’s erratic instructions. I can sit down to send an email then remember I need to hang the laundry then as soon as I sit back down at my computer I think about taking Max to waterpolo and I add it to the calendar and so it goes on. This mindlessness is not a cycle that will be broken easily but I think it can be done. There are patterns I have, a learned habit of running away from stress that I developed when I was five, and negative thought patterns that may predate that of blaming myself, striving to create peace and struggling to understand why people act the way they do. There are a panoply of emotions I’ve suppressed over the course of a lifetime which may have caused me to be prone to depression. But I mustn’t think about now. I must think about walking. No one taught me how to walk, I just picked it up. And no one taught me how to think, behave or deal with stress, I taught myself. I found ways to stand up and walk without falling over and I developed ways to cope with life’s worries and disappointments too but they weren’t very healthy. They allowed me to survive but not thrive. So I’m trying to relearn everything from how to walk to how to think, and I’m hoping to weed out bad habits so new habits like mindfulness can take root and I can bloom. But I shouldn’t think about the past or the future right now. Let me just think about the sound of the sand underfoot and the feel of the wind and the noise of the waves. Sometimes I feel as if I know nothing but that’s okay. Walking can be my school of life. Do you like walking? Have you heard of mindfulness or tried it? Positives and Progress: My posture is improving thanks to my mindfulness and I’m paying more attention to walking upright and moving my body with pride. I think the Feldenkrais helped with that awareness too. Take Action: Go for a walk and think about how you move, what you see, what you hear and what you smell. Each time you notice you got distracted from being in the moment and just walking turn your attention back to how you’re moving, what you can see, hear and smell. Repeat. Repeat. Repeat. Repeat ad infinitum. Time Exercising: As long as possible. Average Heart Rate: Who cares. If you’re enjoying Get In the Hot Spot and the 52 Exercises series check out more from the 52 Exercise quest here and please share this post on Facebook, Twitter, by email or wherever you please. Thank you. 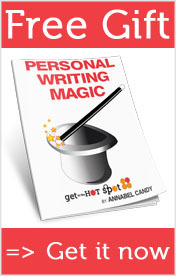 Join thousands of happy readers of Get In the Hot Spot’s weekly newsletter. Click here to subscribe now. I’ll email you weekly with news you can’t find on the blog (secret stuff that’s just between you and me) and links to the best stories. I feel so grateful to live next to a beach where I can do this everyday. It’s important to find quiet so you can focus on what’s happening now and live in the moment. It makes me feel amazing to be at one with the surrounding beauty of nature and to experience it fully in the present. Great medicine for the soul! I’ve really appreciated your honesty and writing about your depression, as my mother suffers from it as well and I can’t empathize with her. You very good at expressing yourself and what exactly you’re facing and it’s helped me understand my mom better. She and I have also been dipping our toes into meditation. She’s using Deepak Chopra’s guided recordings, and it’s been helping her immensely. Thanks for writing down and sharing your experiences. Keep up the 52 Exercises. You’re inspiring all of us to stay active! I’m glad you’re feeling happier :) This was an inspiring post. I also find that walking alone and concentrating on the motion of my feet and getting into a rhythm is a great way to beat the blues. If I had a beach like Noosa to walk on I’d be pretty darn happy too! Love that part of Oz. I’m planning on get ting depressed as soon as the real winter hits in real NZ – I figure its just what happens when I live in a country that has miserable weather that I don’t want to go outside for months. We did struggle with that in NZ – love it so much – we lived there for 10 years and all our kids were born there – but it’s hard when you can’t get out and about although we do walk in the rain when we can’t take being inside any longer! Hello Annabel, I absolutely adore that pink sunset photo, just looking at it makes me feel calm. Glad you walk a lot and are doing so mindfully. I must tell you one day about the wee ones’ school which has a lot of mindfulness in the day and helped teach me a lot over the ten years we’ve had kids there. I do think staying in the present is so important for mental health. I’ve been slowing down and getting off social media a lot… and no iPhone or iPad in bed, a big change for me. Am sleeping so much more, and am letting myself sleep until 7am… and just be late for school if we are late. And am eating well, are you… there’s a post in itself. Take it easy. Why is your thought process like mine almost to the letter? I’ve been going through a lot of the same thing almost my whowhole life and only recently have I realized that all this worrying has not helped me. In facy not worrying has made me more happy. More creative and life more enjoyable. I find mymyself walking but with a partner and completely engaging in convesations more instead of barely listenting because I’m buried in my thoughts. I recently set mutiple timers for a morning routine so I can enjoy moments with out fear of missing appointments. Just don’t let the time stress u. Also. I like everything u said except u trying to bw perfect. Dont be perfect just do your best…not the best. Its what I tell myself when I worry I’m not good enough. 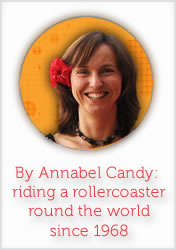 Hello Annabel, I like to read your blogs and it’s so courageous of you to share what you are sharing. Look, nobody is perfect and we are all still learning till the very end. One day it works to be mindful and meditate and the next day it seems harder again. As you say, life is full of ups and downs. But it all just takes practice like everything else. What am I trying to say…..Please stay with it and keep practicing. Glad to see you got so much support. Because you are awesome!